The Windham Eagle Sports: Special Congratulations to Alex Wilkins for his win in the Triple Jump as well as to the Boys' Swim Team for their special award! Special Congratulations to Alex Wilkins for his win in the Triple Jump as well as to the Boys' Swim Team for their special award! 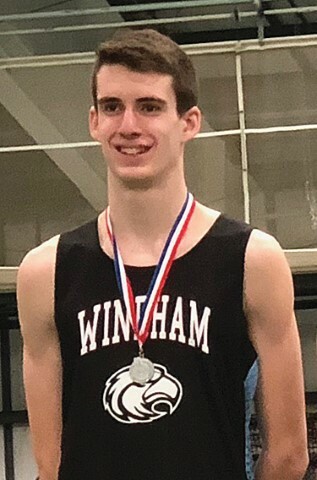 Alex Wilkins is named State Champion in the triple jump for the Windham Boys Indoor track team! 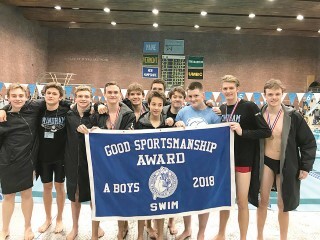 Boys Swim received a Good Sportsmanship Award!